As a foreigner living in San Francisco this can mean a lot of international visitors due to the proximity of Silicon Valley. 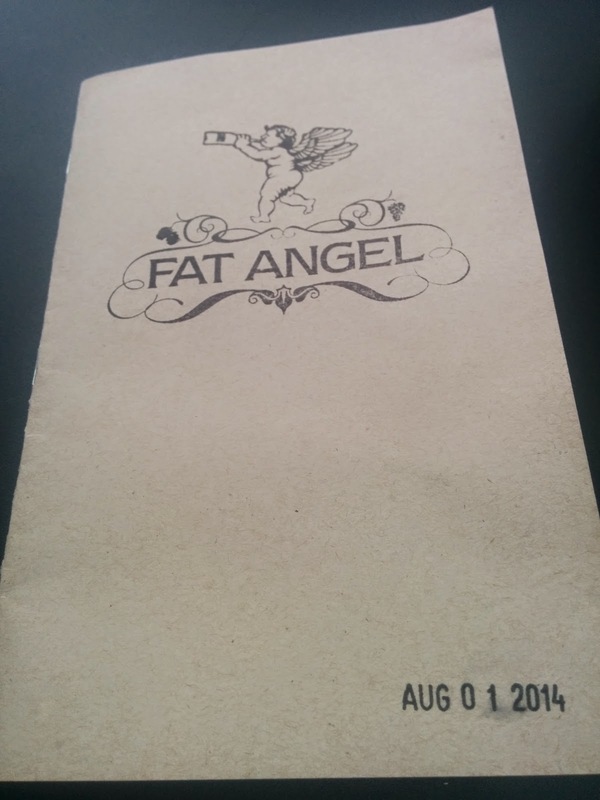 Fat Angel is the perfect place to take visitors and business colleagues for a catch up and a good drink. The theme is high end gastropub in the Fillmore district off the back of Japantown. An intimate environment that is just perfect for small groups or couples on dates - being so close to the Fillmore Theatre this would be a great choice for a pre or post show drink. The venue isn't large though so we tend to go early, either after working from home or on a weekend afternoon. This ensures a choice of tables and no wait, but be aware if you do this the kitchen only opens at 5pm. 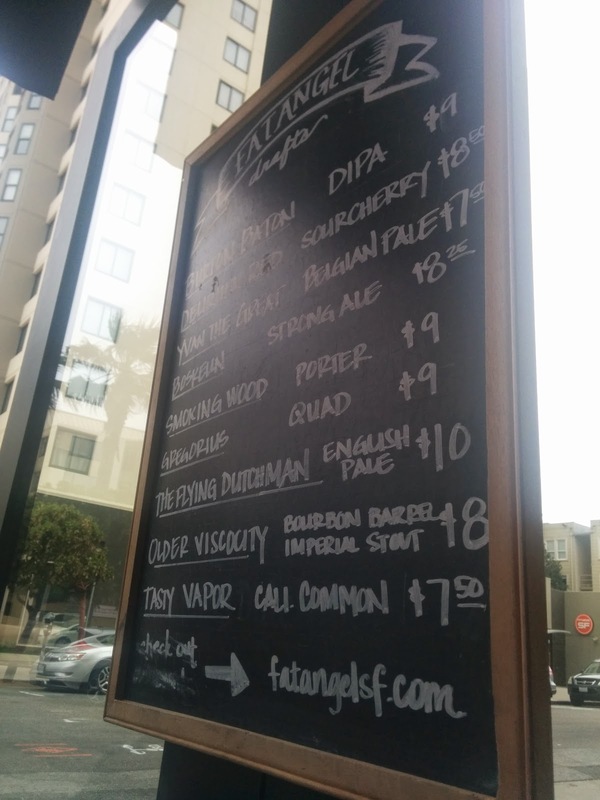 The craft beer list is extensive, several pages including imported and local options, ciders and gluten free beers. Watch the specials board and try their rotation to get a good grasp of the menu. We're particularly fond of some of the unusual beers like sour cherry and dark chocolate porters. For the wine drinkers there's an equally impressive selection by the bottle and by the glass. 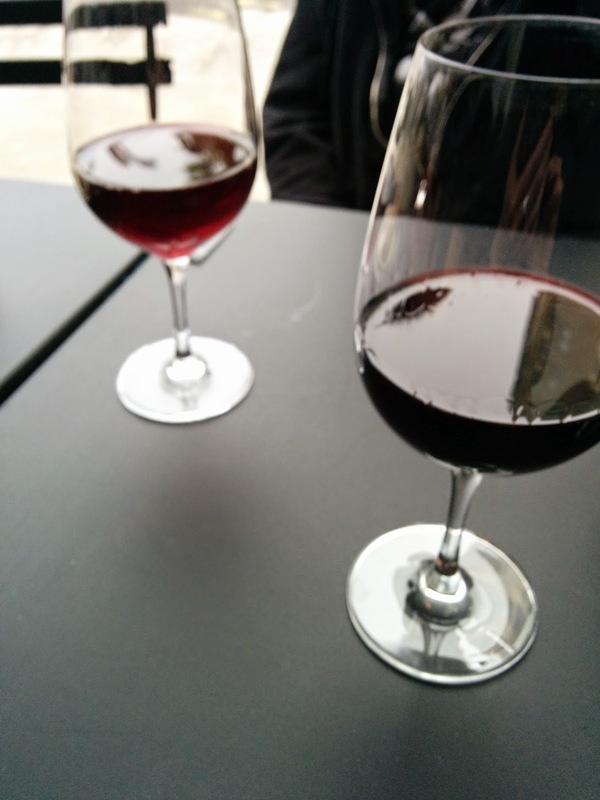 Lots of new world and European wines are available that pair perfectly with the small plate food. 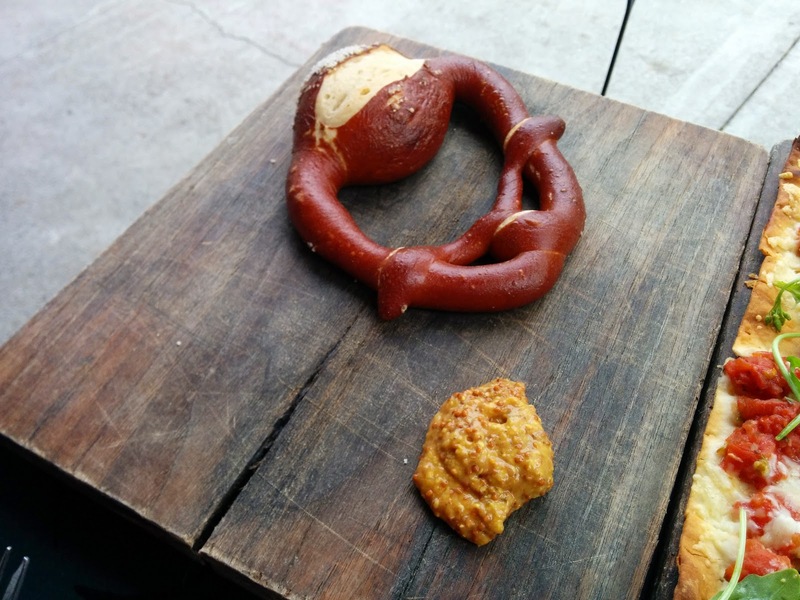 Fresh pretzels with a lye wash and not too much salt are great with cold beer, they're served warm with a rich and hearty seeded mustard. The real winner here though are the sharing boards; all equally delicious with wine or beer and served with crisp sour dough toast points. The cheeses come with a number of side additions like pickles, sweet marmalade and nuts that pair perfectly with the sharp cheeses. Extra points for a number of non cow milk options for those of us with more sensitive palettes. The pickled candied walnuts that they sometimes serve on the cheeseboard is one of the best things in the venue and worht looking out for. 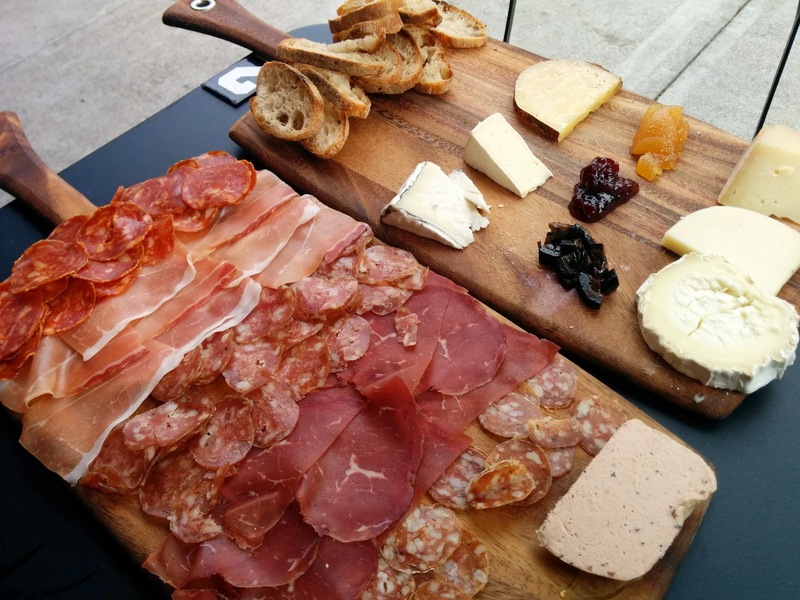 The charcuterie includes a number of dried and fatty meat options and a liver parfait. Not shown here are also fancy butter selections ($4.75USD each) served with warm fresh bread. This is exactly what I crave when I'm eating carbs and they don't disappoint. 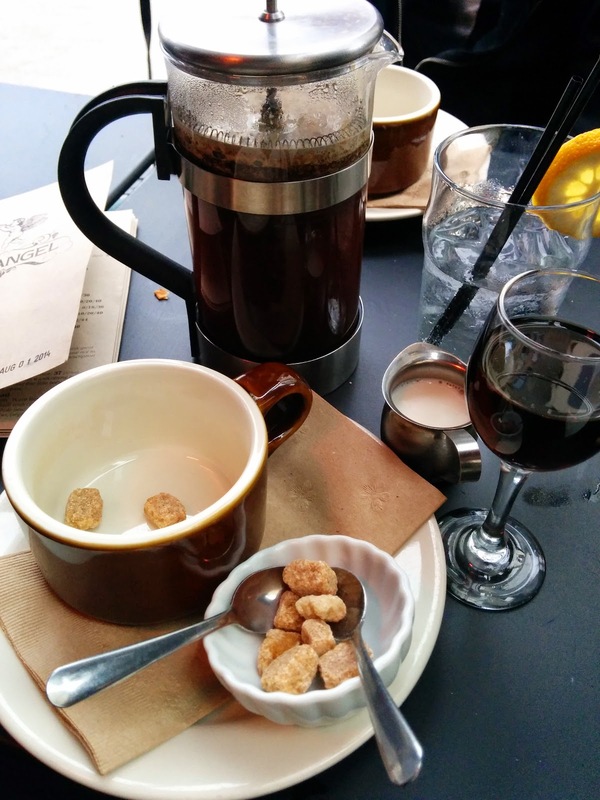 Selections include Lemon caper sage, Garlic chili, Maple bacon, Philz coffee or Honey Butter. The flatbreads are served on a very thin bread crust with plenty of toppings. 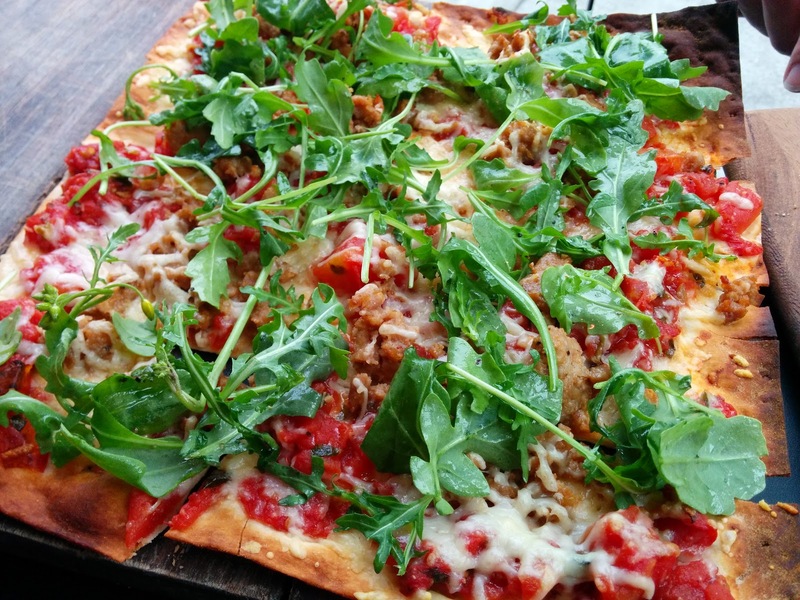 The arugula gi''ves as peppery edge to this dish that cuts nicely through the sausage, combined with the thin crust this makes a lighter more refined option for those craving pizza. There are a number of sweet and after dinner dishes making this also a good stop for post theatre coffee and sweets. 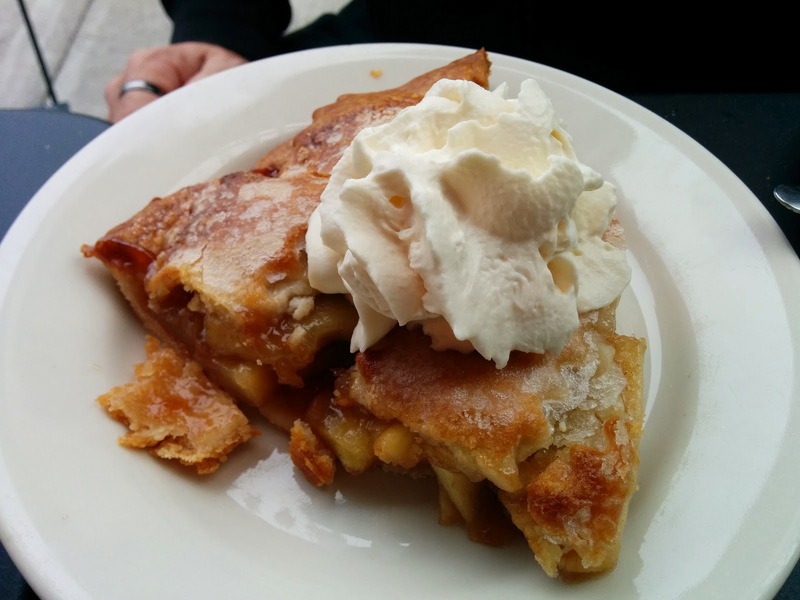 This apple bread pudding is rich and delicious served with fresh whipped cream. Sadly they lack an espresso machine but the French press can be bought for 1 or in a larger format to be shared like this. It's a good quality dark French roast enough to keep a coffee snob happy. There's also a very large range of aperitifs and after dinner drinks including this delicious Madeira which can be hard to find in the US.